Founder Adnan Durrani, and business partner Jack Acree, approached us with the ambitious mission to have “Halal” become the gold standard for protein in the US (and beyond) and to build a frozen food brand on this platform. Starting with the ethnic market of early adopters, Adnan’s vision was to gain recognition through the natural channels and move on to mass and mainstream. All this during the backdrop of the Gulf wars. We took an aerial view of what Adnan's "gold standard of halal" would mean to the consumer market place - antibiotic free proteins, humanely raised livestock, vegetarian feed, non-gmo and organic ingredients - now that's a level of quality anyone could back. 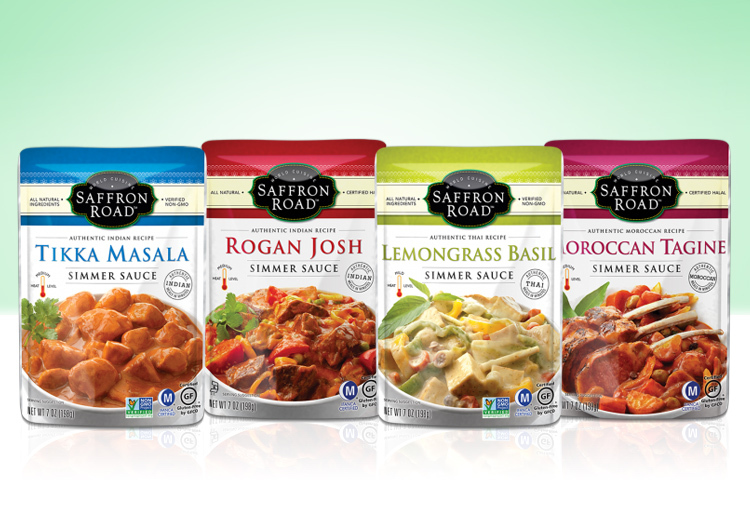 We positioned the brand for multiple audiences and named it Saffron Road, developing a packaging system that is both authentic and enticing, a pleasurable journey and a valued destination. We have been with this brand since inception, producing all brand creative and communications. Sales of $35 million in 4 years is a testament the Adnan & Jack’s integrity and to a relationship that we greatly treasure.